Transport Data Systems has delivered a USDOT reader for installation at a truck inspection station in Montana. 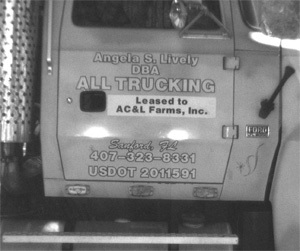 The unit captures the USDOT number from the side of trucks as they pass through the inspection point. It is equipped with powerful invisible LED illuminators to provide for full 24 hour operations. TDS has received a second order for a two similar units to be installed at a similar type station in Indiana.